Essentialism is a key tenet in contemporary design. Floating staircases create an open feel, making the surrounding space seem larger than it actually is. In addition, they do not entirely block views or the adjacent wall. This makes them a top choice for those looking for sleeker home interiors. Well-designed floating stairs create an edginess that traditional options just can’t emulate. Floating stairs are more versatile than traditional stairs as they can be fitted in many more areas of the home. Cantilevered versions only require a strong wall. For many models in our Ascendo range, it is possible to create beautiful half-landing staircases that still look light. 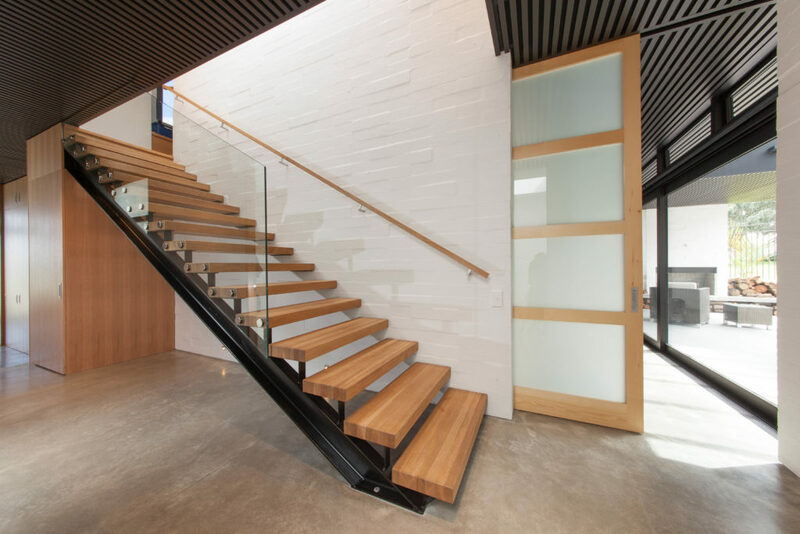 Because floating stairs do not have a solid structure to support them, the space beneath the stairs can be used in a variety of different ways. The area can make a handy reading nook, a spot for a shelf or a space for a home office. Smaller multi-storey homes make clever use of floating staircases for this reason. When space is scant, a floating staircase is a top choice. In the past grand staircases were a common feature in homes of the rich and noble. Nowadays, design has shifted to prefer ingenious design over sheer grandeur. Floating staircases offer the perfect blend of elegance and imaginative design, perfect for the modern home. Floating stairs are a great choice for many homes. They create a feeling of light and uncluttered space, being both functional and stylish. At Ackworth House, our extensive experience in designing and building these stairs will help you create just the right feature for your home.